Marquis Hill studied Music at Northern Illinois University, and Jazz Pedagogy at DePaul University. About a year ago, trumpeter Marquis Hill, now 28, traveled to Los Angeles, played five tunes for a panel of judges, and won the Thelonious Monk International Jazz Competition. You can think of it as a sort of Heisman Trophy for young jazz artists, meaning that a lot more people discovered his talent in a hurry. Hill&apos;s profile may have risen suddenly, but talent like that doesn&apos;t spontaneously emerge from nowhere. It takes a village of mentors, peers, opportunities and other educational infrastructure to enable a musician to grow. That&apos;s especially true with jazz, an inherently social music historically conveyed through the oral tradition. Besides, in his hometown of Chicago, folks had already known about Hill for some time: That&apos;s the "village" that raised him, after all. Marquis Hill now splits his time between the Windy City and New York City, but still maintains a snappy working band full of catchy melodic ideas — a five-piece outfit he calls the Marquis Hill Blacktet. On one of his trips back home this summer, we asked him to show us "his" Chicago, culminating in a Blacktet performance downtown at one of the city&apos;s premier clubs: the Jazz Showcase. 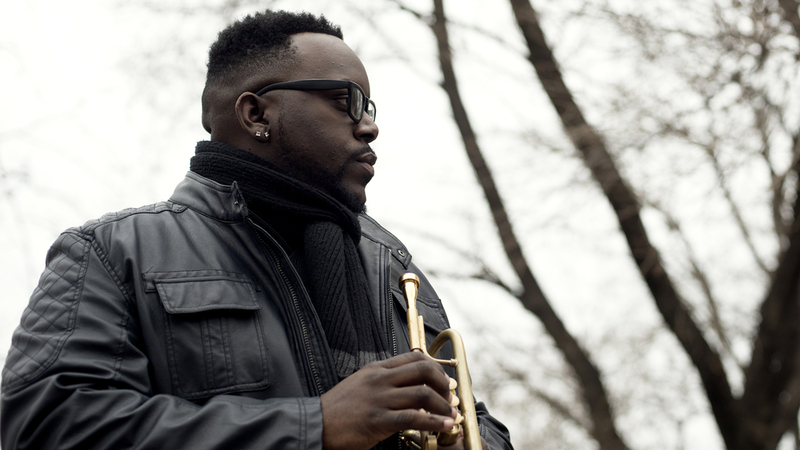 Jazz Night In America travels to one of the great jazz cities to meet some of the people and places which transformed a young trumpeter from the South Side of Chicago into Marquis Hill. The Blacktet features Marquis Hill, trumpet; Christopher McBride, alto saxophone; Justefan (Justin Thomas), vibraphone; Joshua Ramos, bass; and Makaya McCraven, drums.